The new WSAA web site was launched 16th October 2012 and to date (15th November 2013) we have had 113,444 views. Our AGM was held on Wednesday 28th August 2013 and we are looking for local sponsors and raffle prizes for the Annual Open. £100 confirmed at AGM 28th Aug. 2013. Open tickets will be on sale in both their shops. Confirmed by J Gilpin at AGM 28th Aug. 2013. Confirmed at AGM 28th Aug. 2013. Special £50 17th Place Prize (confirmed again at AGM 28th Aug. 2013) & (to be advertised on Open poster). *juniors can win main adult prize 'if' an adults ticket is purchased. 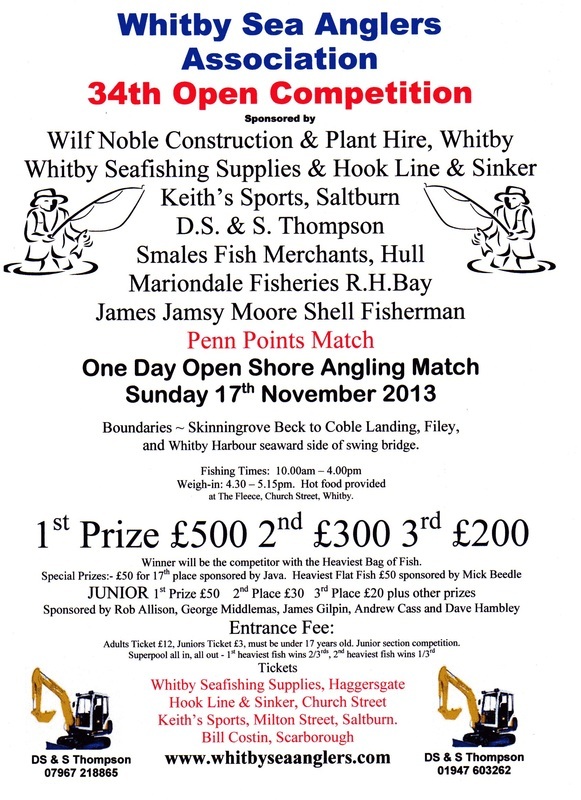 Confirmed by W Atkinson at AGM 28th Aug. 2013 as WSAA supports Scarborough Festival £50.